No-one is immune to the biological changes that lead to thinning hair tops and receding hairlines. Pattern baldness and hair loss don’t discriminate when it comes to gender or wealth and affects celebrities just as much as it affects ordinary people. Hair restoration procedures have luckily caught up with the times and are on their way to reverse hair loss and allow people to enjoy a luxurious head of hair much longer than before. More and more people are opting for hair transplant procedures and hair clinics across Europe are welcoming thousands of people looking to restore their hair. In June 2011, football player Wayne Rooney shared a selfie with his then 12.5 million Twitter followers. The selfie wouldn’t have been anything out of the ordinary if not for the caption that read: “Just to confirm… I have had a hair transplant” adding “I was going bald at 25 – why not?”. According to many hair transplant specialists, his tweet was a pivotal moment in breaking the stigma around hair loss and hair transplants, and it encouraged other celebrities and ordinary people to undergo hair loss surgeries. Up until then, men had been wary about discussing hair loss issues or any procedures that may be able to help with pattern baldness. Soon after Rooney’s admission about his hair transplant surgery, other celebrities followed suit and decided to undergo the procedures themselves and open up about it. “Doing a Rooney” became somewhat of an inside joke between celebrities. Take the example of Robbie Williams, who while on the Graham Norton Show, discussed having had hair restoration surgery himself. Or Louis Walsh and James Nesbitt, who have also discussed about undergoing hair surgery procedures. This wave of open discussion about how hair loss is a problem that can affect the confidence of men and cause emotional distress and self-image issues, determined men to be less reluctant to walk through the door of a hair clinic and discuss their options. Even though the stigma around hair restoration procedures has dispersed, a crucial problem still remained: the high costs of the procedure. The advancements in hair loss reversal procedures had come with a high price tag that wasn’t affordable for the average budget. This is where hair transplant tourism came in and saved the day, allowing men of all social statuses to afford a hair transplant procedure in a clinic abroad. Hungary is one of the most visited European countries that to this day welcomes foreigners looking to have hair restoration. Consultations are offered via Skype or email, or even in partner hair clinics in Dublin. 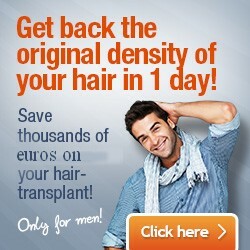 Make an appointment today with a hair clinic in Budapest and save money on costly hair rejuvenation procedures.